Sometimes particular obscure things keep reoccurring in your life - e.g You discover a word you've never heard before and subsequently hear it three times in the same day. People treat it as a sort of mystical occurrence and I suppose to some extent it is - though a part of me acknowledges it as merely your brain - newly aware of this word and now understanding the meaning, is more alert to it and registers its use. In films they deliberately play with you in that sense - subtly inserting poignant sign posts and repeating them throughout the narrative. You're sort of meant to ask yourself "Is that a coincidence?" "What does that mean?" so when things like that occur in reality I find myself doing the same thing. 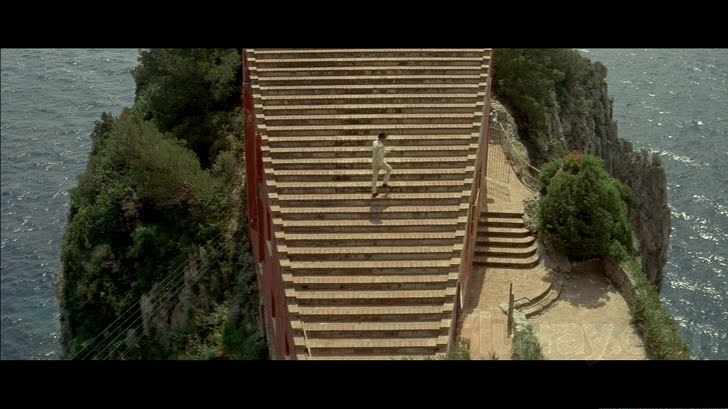 I watched a Jean-Luc Godard film last week called 'Contempt' (or, 'Le Mépris'). And, today in the last installment of the crazy film/Art history class I take at Uni - out lecturer showed us the very same film. 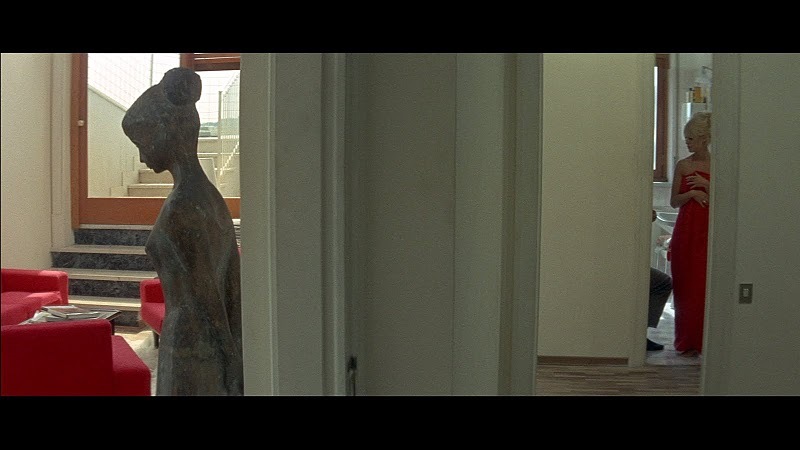 A quote that compelled me the most when first watching 'Contempt' was: "The gods have not created man. Man has created gods." and today that's what my lecturer spoke about - in relation to the nothingness that therefore must exist before the birth of either. Struck with the coincidence of this film and the particular line reoccurring again in my life, I placed even more emphasis upon the question "WHAT DOES THAT MEAN?" and thought about it on yet another level. Repetition is easily dismissed as not making something more valuable but less. I think repetition reiterates a point and solidifies its existence. I learnt that from Andy Warhol. This film and the colours within have been haunting me since the first viewing. Now, even more so as it found its way into my life again through no conception of my own. These reoccurrences are only poignant if they're acknowledged as so - like you could easily watch a film and still follow the plot line while missing those signposts - but you would just be watching it on the surface. Oh, and right now as I'm finishing writing this, 'I'm A Believer' came on the radio (Refer to below post). SPOOKY. Brigitte bardot is one of my fav perves ever. I often have those moments too, one particular experience a few weeks back was so spooky that I was left dumbstruck for about 10 minutes afterwards.. interesting to hear someone else speak of such occurrences.